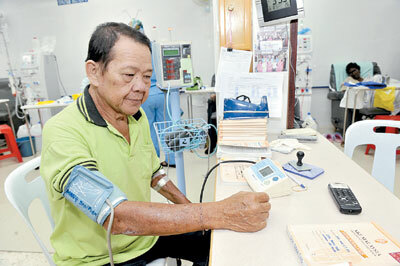 Fo Yi Dialysis Centre was initiated and set up by Penang Buddhist Free School Ex-Pupils' Association Emulating the concept of contributing to the society through the attitude of unselfishness, Fo Yi Dialysis Centre was set up as a non-profitable organization. Many people were surprised and convinced by by this noble initiative and move, however, through the unconditional support by many philanthropists and our hard work and efforts our dream materialized when we set up our first dialysis centre on 20th April 1997. We had succeeded to overcome many obstacles and difficulties with the wisdom learned through the teachings of Buddha and the spirit of co-operation and team work of our Fo Yi members. Our achievement today is due to the confidence given and shown by our members as well as the public. 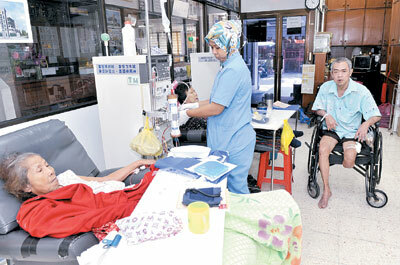 Another building was purchased in the year 2007 as the second dialysis centre due to the increasing number of kidney patients. This was another milestone on our path of growth. The second Fo Yi Dialysis Centre was officially opened on 20th April 2007 but we started dialysis on 3rd September 2007. It was well equipped with advanced and modern apparatus. Rome was not built in one day, the path towards betterment of kidney patients will still continue by giving Fo Yi support and the need to enhance the welfare and benefits o the patients. Let us together foster the feeling of thankfulness and love in our society. 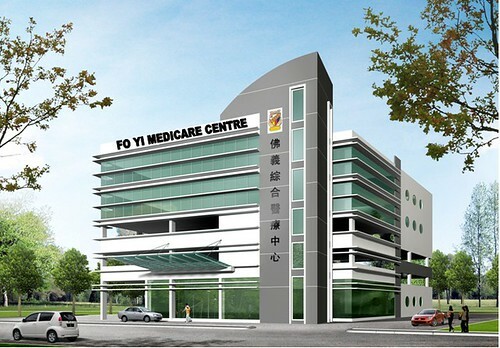 In the years to come , Fo Yi Dialysis Centre had pledged to build the 3rd center to cater the needs of south west of Penang Island. 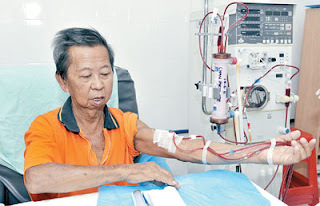 Many of the patients who suffer from kidney failure have these two choices: die without receiving any kind of treatment due to lack of funds and ignorance or sell off their properties to pay for the dialysis treatment. Fo Yi established 1st Dialysis Center back in year 1997 and the 2nd Dialysis Center in year 2007. As at today, we have more than 120 renal failure patients and the number of applications are increasing from year to year and sadly to say that most of them are in their prime age. In order to meet the increasing number of renal failure patients, Fo Yi Haemodialysis Society's Management of Committee has decided to set up their 3rd unit of Dialysis Center in the Southwest of Penang Island to benefit those poor patients in that area.